"Each artist involved in the Fussbalhelden Gold project was asked to illustrate four or five portraits. 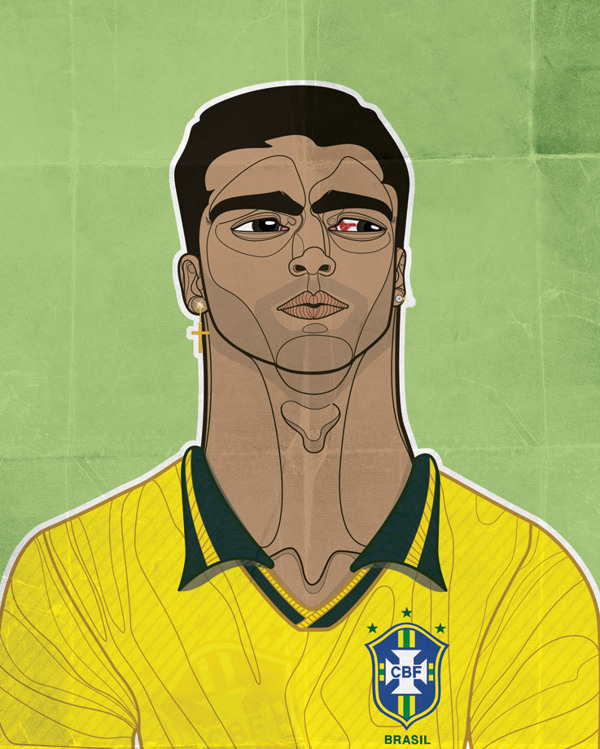 I had the honour of illustrating Maradona, Romario, Didi, Zito and Domingos da Guia." Glauco is a hugely talented Creative Director, Graphic Designer and Illustrator based in Sao Paulo. See more of his work on Flickr.